We are continuing on with blue inks this week and one ink I’ve had on my list for a while is Blackstone Sydney Harbour Blue. I purchased my sample of ink from Anderson Pens. Sydney Harbour Blue is a medium blue with a bit of green in it, not quite a teal but close. In large swabs there is some pretty dark pink sheen. 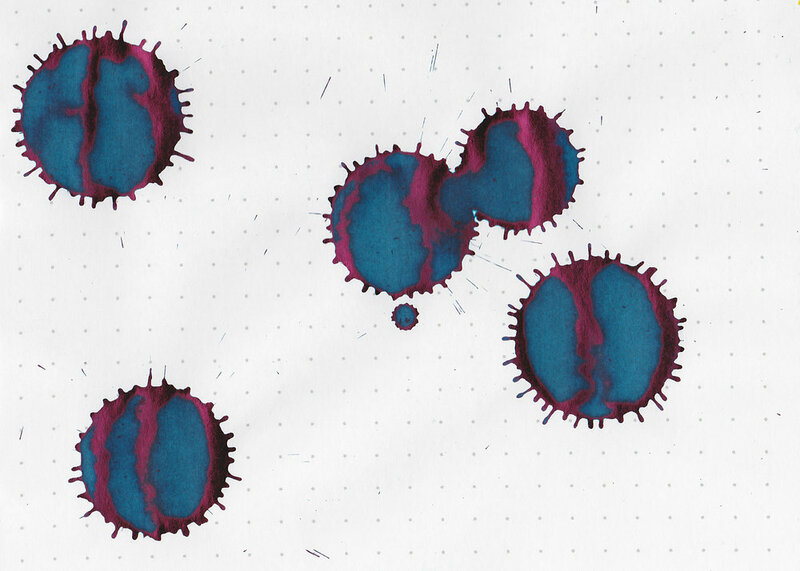 Bleeding: Low-there was just a little bit of bleeding in the flex nib. Other properties: low shading, medium sheen, and no shimmer. There was less shading than I expected. 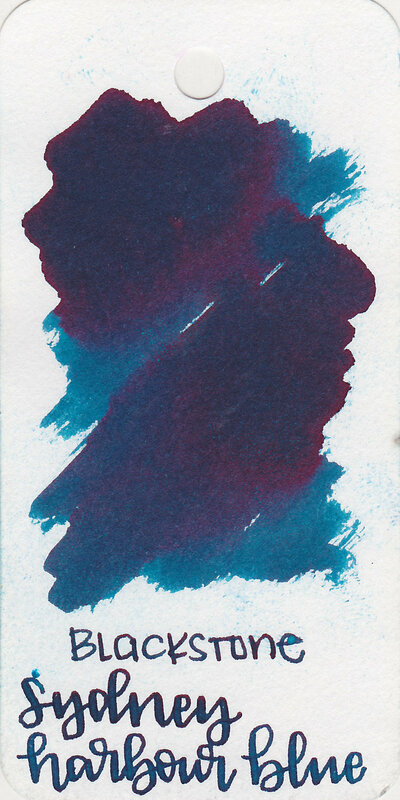 The two closest inks I have to Sydney Harbour Blue are Robert Oster Lake of Fire and KWZ Baltic Memories. Click here to see the blue inks together. I used a Kaweco Sport in Lagoon Blue with a fine nib on Tomoe River paper. The ink had an average flow. Overall, the ink has a great flow, pretty color and some pretty pink sheen. It’s a winner for me.